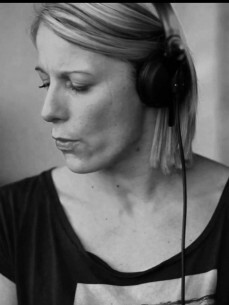 Klaudia Gawlas represents a new movement in Techno. Her powerful, driving sound catapulted her at the highest ranks in readers’ polls and onto the big stages of festivals in Germany and abroad. After being voted best newcomer in 2012 she was awarded with the first place in the king category „BEST DJ“ in FAZEmag, the leading German magazine for electronic music, in 2013. Her impressive set in the main area of MAYDAY 2013 proved her standing as one of the few women in the male domain of Techno. Her performance was nothing less than a milestone for female Techno culture and enormously increased her popularity. Klaudia defined her very own sound in her debut album Zeitgeist released in 2013. Her track „Papillon“ hit like a bombshell and fascinated ravers across Europe. Additionally this earned her the first place in the category „Best track“ in FAZEmag. Together with Eric Sneo Klaudia Gawlas has restarted the label Masters of Disaster. It serves as a platform for their own productions as well as for those of new talents and already renowned artists.